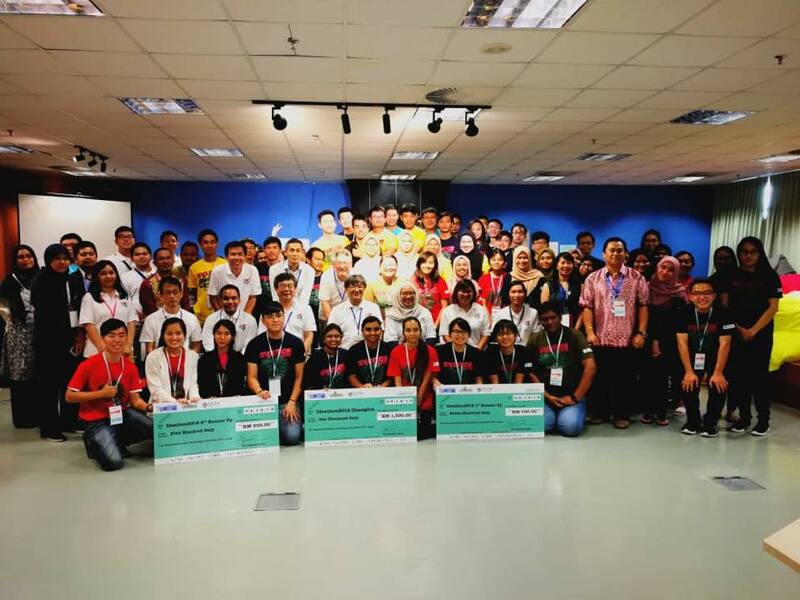 The Ideathon was a collaborative effort between The Telecommunication Technology Committee (TTC) Japan, Universiti Malaysia Sarawak (UNIMAS) and University College of Technology Sarawak (UCTS). This two - day event saw the participation of 74 bright young minds across faculties from both UNIMAS and UCTS. The competition was organised at the new myCapsule Space Lab, Faculty of Computer Science and Information Technology, UNIMAS. The students constructed ideas to integrate with themes selected for the event; eEducation, eHealth, eAgriculture, eDisaster Management, eEnvironment Management, eTourism and Smart Cities. Each team worked endlessly to come up with the best solution to their identified problems, before pitching their ideas in front of an international judging panel of Computer Science and Information Technology experts. SMART LRB emerged as champions of the Ideathon, comprising of team members Bhavani A/P Renganathan, Rupini A/P Muniandy, Logasshini A/P Nilavezhilan. Coming in second place was the team The BitJunkeys, comprising of members Ee Min Jie, Farhaan Iqbal, Koh Zhe Wei and Qan Khai Mun. The third runner-up was team Sffic, comprising of members Lim Zhi Yong, Ong Hui Xin, Sin Han Jinn and Goh Suk Chin. The three winning teams also walked away with cash prizes of RM1000, RM700 and RM500 respectively.